You are making it possible for patients to find out about us wherever they are – at the DMV and health clubs and on buses, TV and radio. Feel like you’ve seen a First Care Clinic ad when you’ve been out and about in recent weeks? It’s a good bet you have! We’re currently running ads at the DMV and athletic clubs, on local TV and Madison Metro buses, and on radio station websites and mobile apps. And for the next six months the voice of one of our nurses will be airing on a radio station that’s popular with the women and men we serve. Through our research we’ve learned that while most of our patients find us by searching for help online, some saw our name out in the community or heard about us via word-of-mouth—in fact, about one-fourth of our patients found out about us through a friend. 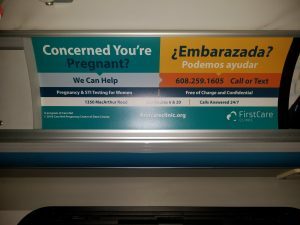 We’re on Madison Metro buses this fall too so that more people in the greater Madison area know about the help we provide to women and men facing unintended pregnancies. Which is why it’s so important for us to get the word out to more people in the greater Madison area. So, be on the lookout for one of our ads. 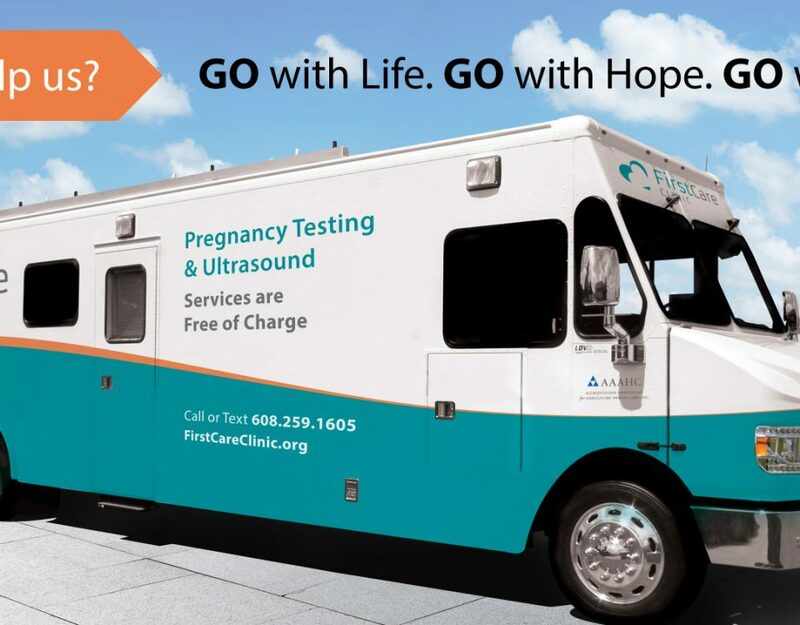 And if a friend tells you they know someone who is facing an unintended pregnancy, be sure to refer them to First Care Clinic for life-affirming options and help.